Most professional teeth whitening treatments are done with either hydrogen peroxide or carbamide peroxide. These are bleaching or stain removing agents used in the treatment of teeth whitening. Hydrogen peroxide (H2O2) is a powerful bleaching agent that rapidly penetrates tooth enamel to lift stains. Carbamide peroxide (CH6N2O3), also known as urea peroxide, is a form of hydrogen peroxide that is made more stable by reacting it with urea. Carbamide peroxide must break down into hydrogen peroxide in order to lift stains. Therefore, it takes longer to work and results are not as dramatic for the same length of application time. Hydrogen peroxide and carbamide peroxide have a 3:1 ratio. So, 48% carbamide peroxide is theoretically equal to only 16% hydrogen peroxide, plus the reaction time is slower. Both treatments are very effective in whitening teeth. One is not necessarily better than the other. The main difference is time. Hydrogen peroxide takes less time to whiten teeth than carbamide peroxide to get the same results. Hydrogen peroxide breaks down faster than carbamide peroxide, so it releases most of its whitening effect within 30–60 minutes. Carbamide peroxide, on the other hand, releases about 50% of its whitening effect in the first two hours and can remain active for up to six additional hours. Whereas these features make carbamide peroxide the best gel for home teeth whitening products, it is also appropriate for use in applications that use a mouth tray and longer treatment time (take home mouth trays). Treatments with carbamide peroxide gel need to be longer (at least 20-30 minutes per application) because it takes at least 10 minutes for the urea peroxide just to start breaking down into hydrogen peroxide, which is necessary before it starts whitening. Due to time restraints for most clients, Advanced White chose not use carbamide peroxide or take home mouth trays. We don’t use hydrogen peroxide in a mouth tray because a strong hydrogen peroxide gel in a tray will cause significant gum irritation. 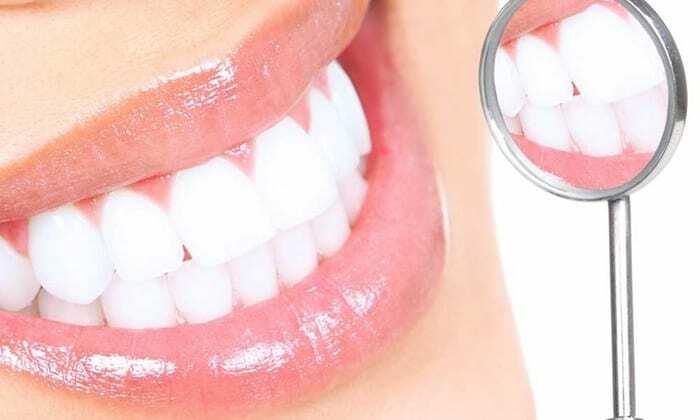 Our teeth whitening system utilizes our proprietary hydrogen peroxide teeth whitening gel that gives fantastic results yet safe for sensitive teeth. We developed the original paint-on system in which the gel is carefully brushed onto the teeth with a built-in pen style applicator brush. Soft mouth tissue is protected with the use of a cheek retractor and vitamin e swabs. We recommend three back-to-back applications of 10-15 minutes each. The first application mostly just opens the pores in the enamel. The second application begins to visually whiten the teeth, and dramatic whitening results are achieved during the third application. Since hydrogen peroxide and carbamide peroxide produce equally brilliant results, which method should you choose? Since both treatments are good, it depends on your preference and time constraints. Hydrogen peroxide treatment is usually used in combination with a LED laser light and takes less than one hour (3 back-to-back sessions). 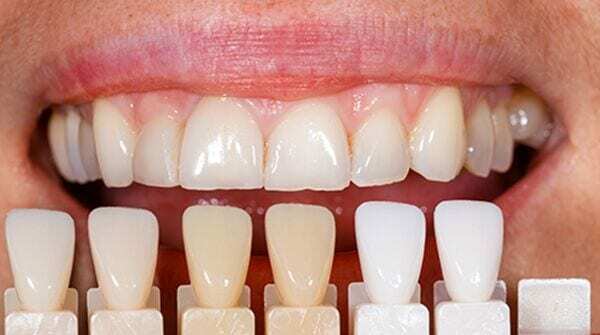 With carbamide peroxide, a mouth tray is usually created for the client to take home since it will take longer for this treatment to get the same whitening effect. Advanced White will give you the best results because we use the highest quality hydrogen peroxide from our manufacturer headquarters in the United States. We are so sure of the efficacy of our products that we encourage you to try our products and compare them with the competition, and to buy from whomever gives you the best results. None of our competitors will tell you to try our products and compare them with theirs. You will need referrals from your customers in order to be successful, and the only way to get referrals is by giving your customers results they love. Our manufacturer is the industry leader for teeth whitening and is FDA approved with a “A” rating with the Better Business Bureau. As we mentioned before, this system was developed to allow spas and salons to offer fast and effective teeth whitening treatments, yet, dentists love our system as well.